Name(s) of Creator(s): Jelisaveta (“Seka”) Stanojevich Allen; Anastasius C. Bandy; Robert Woods Bliss; Richard LeBaron Bowen, Jr.; Rita W. Buckler; Jefferson Caffery; Jane Chance; Levon B. Chookaszian; Sirarpie Der Nersessian; Richard Ettinghausen; George H. Forsyth, Jr.; Nina G. Garsonian; André Grabar; Richard Hovannisian; Ernst Kitzinger; Dickran Kouymjian; Angeliki E. Laiou; George Ostrogorsky; W. Sas-Zaloziecky; Ihor Ševčenko; Konstantin F. Shteppa; Isaac Stone; Alice-Mary Talbot; Robert Thomson; and the Washington Star. Preferred Citation: Sirarpie Der Nersessian Papers and Photographs, Dumbarton Oaks Archives. Courtesy of Dumbarton oaks Research Library and Collection, Washington, D.C.
Sirarpie Der Nersessian was an Armenian scholar of Armenian and Byzantine art history, especially Armenian illuminated manuscripts. She is credited with incorporating Armenian art into the scope of Byzantine art history. She was born in Istanbul (Constantinople) on September 5, 1896. With her older sister, Araxie, she fled persecutions against Armenians in the Ottoman Empire in 1915, going first to Bulgaria and then to Switzerland, where Sirarpie completed her secondary and university (1917) educations. In 1919, the sisters moved to Paris, where Sirarpie pursued graduate degrees at the Sorbonne, studying with the historian Charles Diehl and art historians Gabriel Millet and Henri Foçillon. Her lifelong friendship with Byzantine historian Father Francis Dvornik and art historian André Grabar also started during her student years in Paris. In 1939, Sirarpie Der Nersessian delivered a lecture, “Some Aspects of Byzantine Sculpture,” at Dumbarton Oaks. In 1944–1945, she was a Senior Fellow at Dumbarton Oaks, and the following year she became a full faculty member and a member of the Board of Scholars. While at Dumbarton Oaks, she resided on the grounds at S and 32nd Streets N.W. and was joined there by her sister in 1947. In 1953, she was appointed Henri Foçillon Professor of Art and Archaeology at Dumbarton Oaks and Harvard University, after which she served as Deputy Director of Byzantine Studies (1953–1954). 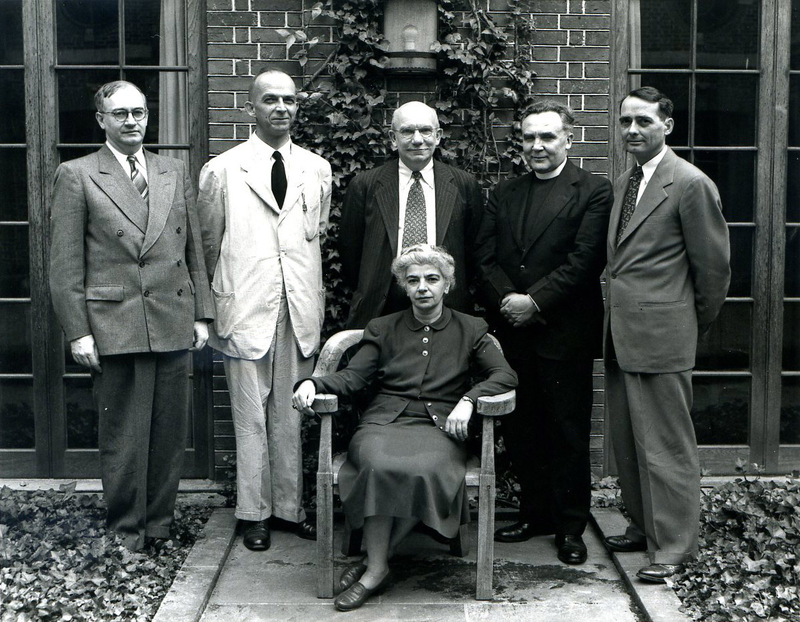 At Dumbarton Oaks, she also twice served as Acting Director of Byzantine Studies in 1954–1955 and 1961–1962. Sirarpie Der Nersessian also directed two Dumbarton Oaks Byzantine symposia in 1948 and 1958 and participated in a total of seven. During the nearly twenty years that Der Nersessian was at Dumbarton Oaks, her scholarly research focused on manuscript illuminations as well as on Byzantine and Armenian art generally. Upon her retirement in 1963, Sirarpie Der Nersessian returned to Paris and continued to lecture in European universities, including the Collège de France. She returned in October 1965 to deliver her final lecture at Dumbarton Oaks, “Scholarship in Byzantine Art and Archaeology, 1940-1965” for the institution’s twenty-fifth anniversary. She was awarded the status of Emerita and made an honorary associate of the Board of Scholars. 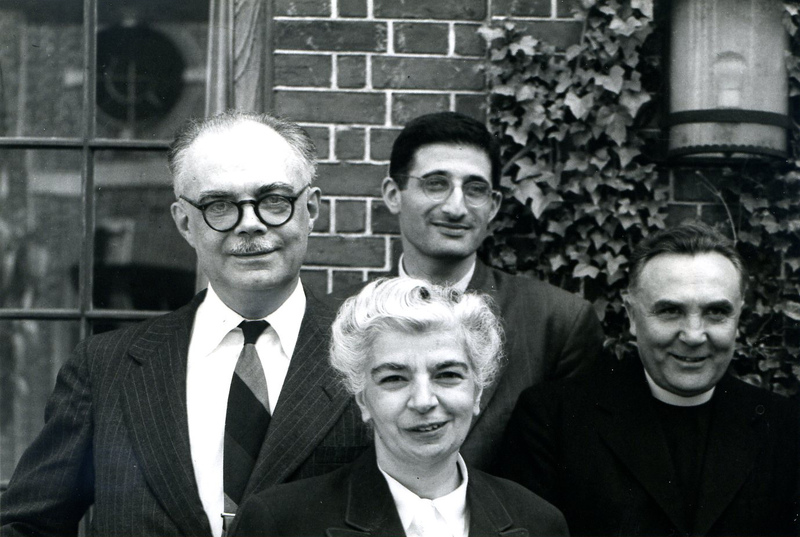 Sirarpie Der Nersessian was also the only woman at Dumbarton Oaks to gain full professorship at Harvard, the first woman to receive the Saint Gregory the Illuminator Medal of Honor from the Armenian Apostolic Church (1960), and the second woman to receive a gold medal from the Society of Antiquaries of London (1970). Item 1: “Dr. Der Nersessian To Receive $2,500 AAUW Award,” Washington Star (April 9, 1948) (also photocopy). Item 2: Konstantin F. Shteppa, “Autobiography,” 1954. Item 3: Konstantin F. Shteppa, “List of the Most Important Treatises,” 1954. Item 4: Photocopy of Bradford Bachrach’s photograph portrait of Sirarpie Der Nersessian, undated. Item 1: Sirarpie Der Nersessian, “Some Aspects of Byzantine Sculpture,” copy of 1939 talk delivered at Dumbarton Oaks. Item 1: Jelisaveta Stanojevich Allen, “Sirarpie Der Nersessian (b. 1896): Educator and Scholar in Byzantine and Armenian Art,” Women as Interpreters of the Visual Arts, 1820–1979, edited by Claire Richter Sherman with Adele M. Holcomb. Contributions in Women’s Studies 18 (Greenwood Press: Westport, Connecticut – London, England, 1981), chapter 12, 329–56. Item 4: Image of Sirarpie Der Nersessian, André Grabar, Paul Alexander, and Francis Dvornik (bust length), 5” x 7 1/8”, b/w, identifications on post-it on back: “Miss S. Der Nersessian at Dumbarton Oaks with her good friends: Prof. André Grabar, Prof. Francis Dvornik, and Prof. Paul Alexander. about 1958” and a graphite inscription: “51.25.1.6.” (3 copies).